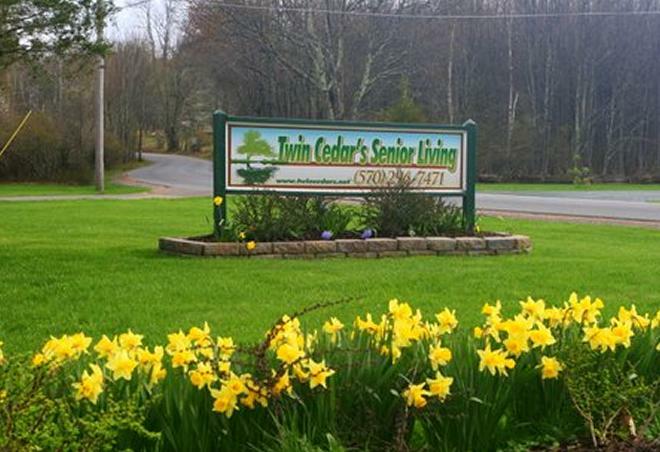 Twin Cedars is a small personal care home offering 24 hour personalized assistance with care and supervision with all the comforts of home! 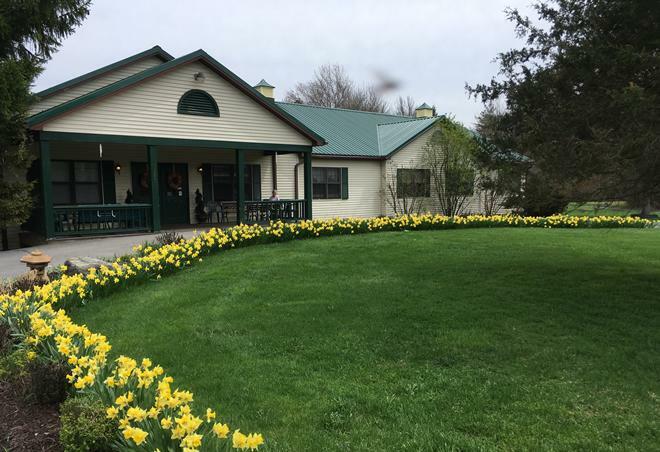 Our home is located on 16+ acres in a tranquil country setting and is furnished with cozy antiques and enriched artwork, which promotes an ideal atmosphere for relaxation and peace of mind. 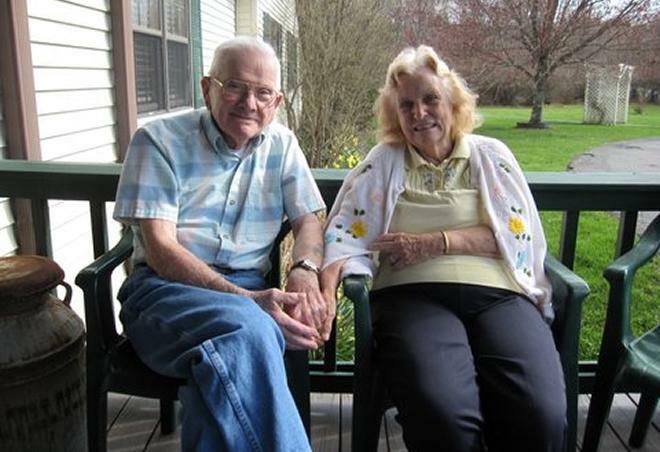 At Twin Cedars we are committed to the health, comfort and safety of our residents. 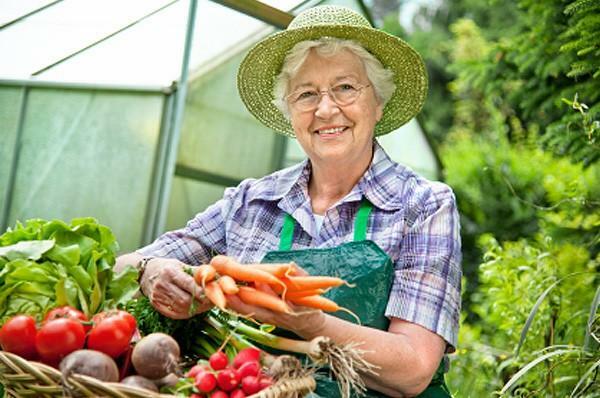 Our goal is to provide quality care for those staying long term, short term or for those receiving adult day care services. Our 12,000 sq. ft. building maintains a ranch floor plan which eliminates the need for our seniors to climb stairs. Twin Cedars offers private, deluxe private and companion suites, each with its own private bathroom. The spacious living and dining areas overlook endless blueberry groves and the beauty of the Pocono countryside. Our outdoor decks connect paved garden paths, meandering past fountains, picnic tables and benches. Our residents enjoy daily sightings of wildlife including bear, deer, and wild turkeys viewed from their bedroom windows!